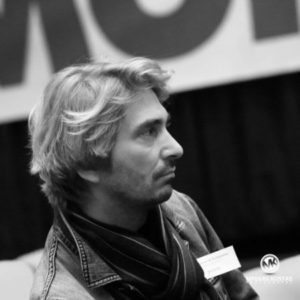 Olivier is the manager of Mazinnov (“Let’s innovate together”), the French-Greek innovation network. This network was created in 2016 at the French embassy. November 2016 and 2017, he organized in Athens two events dedicated to innovation. The first event was a meeting between the two (French and Greek) innovative ecosystems (almost 500 participants on two days). The second one confirmed the common and shared interest of the two ecosystems (almost 2500 participants on two days). This network aims to connect ideas, projects and people between France and Greece. Its way of acting is to help Greek startups to develop their business here in Greece by doing the right connections with French and/or Greek people. At the second event, Mazinnov launched several calls for Greek startups. More than 20 startups have been “adopted” through one of these calls. One of these startups will be probably developed from Greece in more than 150 countries. Mazinnov is planning to bring an important Greek delegation to the BIG: one of the most important innovation event in France. Olivier, through Mazinnov network, supports startups and the Greek innovative ecosystem by participations, cooperations and co-organised events: Youth Entrepreneurship Club conference in Chania, AromaHub call from Patras Science Park, Mazinnov presentation at NBG Business Seeds mentoring at OKThess! in Thessaloniki, FuckUp night and Bootcamp with Mindspace in Athens, ThinkBizz Academy in Athens… and now here, tomorrow somewhere else. In France, Olivier works especially with BPIFrance, Business France, Bank of France (where he worked previously), Numa, Station F, Paris&Co, FrenchTech, CEA Tech, Aerospace Valley, KissKissBankBank, Cap Digital.